You just bought yourself a car. It does not matter if it is brand new or previously owned because it new to you.Now that you have the car is there anything you are forgetting to do? What do you need to do after buying your car? This article will answer that question for you. The first thing you should do after buying your car is to let your insurance agent know. You need to get insurance on the car as soon as possible. 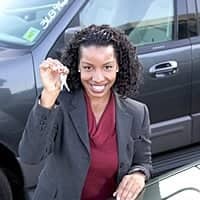 If you traded in a car let your agent know so that vehicle can be taken off of your policy. Since you are starting a new policy you might use this time to shop around to make sure your insurance agent is giving you the best price. One place you can go to online to compare insurance prices is CarInsurance.com. This site makes it easy for you to quickly but efficiently see multiple companies and their rates for your vehicle. Next read through the owner's manual. Familiarize yourself with when you will need to bring in your car for oil changes and tune ups. See what the tire pressure should be. Read how all of your controls work, there might be new buttons that your old car did not have. Now that you have read about the inside controls now sit in the car and see where they are. The windshield wipers are not always in the same place on each car or work the same. Little things like this you can familiarize yourself with now instead of the middle of a rainstorm. See how the air conditioning and heating controls work and adjust them to how you will be most comfortable so you will not need to bother with that while driving the car. Set up your radio. You will need to read about your radio and figure out how to set up you radio stations with the preset buttons. Not all radios are the same and you do not want the radio stuck on a static filled AM station on your drive to work because you do not know how the radio is set up. Get under the hood. Maybe the dealer or private party you bought the car from showed you this previously but now be sure you know how to pop the engine hood yourself. Find the dipstick and check your oil. Also look and make sure that not only your other fluids are filled properly but that you know how to determine when they are low. Now that you know your car inside and out, really make it your own. If you have the money you might want to put on specialize rims or upgrade the sound system. If you don't have the money for big upgrades why not find some car seat covers or even an antennae ball. This will make the car now feel like your own. You have just bought yourself a car. You still have work to do. Get to know your car and make it your own special asset. 0 Responses to "What to do after buying a car"